Your thesis or a dissertation is the culmination of years of work, and may be the most important document of your academic career. Even for experienced writers, however, finishing a thesis or a dissertation with coherence and quality isn’t easy. This can be even more the case for international students, especially when English is not their native language. Consultation: To make sure that the editing process does accidentally misrepresent your research, and does not change your work for assessment purposes, you’ll have constant access to me. I consider communication an essential element of a quality editing service. It is the editor’s role to help make your paper more professional and correct errors of English, but not to alter it’s essential content. Where major changes to wording are required, these will be made as suggestions, rather than direct changes (see below). Structural Coherence: I will make suggestions and recommendations about how you can improve the structural coherence of your paper, to help you strengthen the links between ideas, helping to ensure that your argument provides coherent support for your conclusions. It is a requirement of Australian standards of editing practice in relation to theses that only advice is given in this respect (see below). Spelling, Punctuation and Typographic Errors: I will read through your paper looking for spelling errors, inappropriate words, incorrect punctuation and typographic errors, such as extra letters and spaces, that can undermine your reader’s confidence in your writing. Grammar: Errors in grammar can easily confuse the reader, making it appear that the premises of your thesis are incoherent or unsound. I will correct such common errors as subject-verb agreement, pronoun referents, run-on and fragmented sentences, weak or improper verb usage, and other fatal grammatical mistakes. Style and Voice: Eliminating awkward or vague words and phrases and replacing them with elegant and precise ones will help to make your writing not only more consistent, but also more professional. Citation Style: I am familiar with the basic style manuals for professional fields, and will repair your citations to conform to these standards. You will need to check with your academic advisor about engaging the services of an external editor. 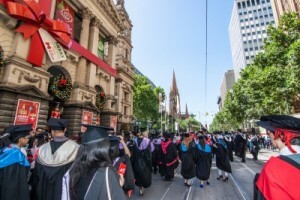 Different universities have different policies in relation to the editing of student work, many being concerned that the student who can afford the services of an editor has an unfair advantage over those who cannot, and that editorial services may misrepresent the student’s academic ability. Academic supervisors of research students also need to be clear about the role of the professional editor as well as their own editorial role. In Australia, the Institute of Professional Editors (IPEd) has published a document called Guidelines for Editing Research Theses, which was developed in collaboratively between the Deans and Directors of Graduate Studies (DDOGS) and the Council of the Australian Society of Editors (CASE). This document has been written with reference to Australian Standards for Editing Practice (ASEP), by CASE. These documents can be found at the IPEd web site. Professional editorial intervention must be restricted to Standards D and E, and only suggestions and examples can be provided in relation to substance and structure (Standard C). The IPeD guidelines recommend that material for editing and proofreading should be submitted in hard copy, since it is considered too easy for students who receive electronically edited copy to accept changes without thinking about their implications. However this is impractical in today’s world. Work submitted to me should be sent as a Word document. Also, the name of the editor and a brief description of the service rendered should be printed as part of the list of acknowledgements in your thesis. You don’t know who the editor is, and may have little or no contact with them. The editor may not be Australian, and you may end up with a thesis in a variety of English other than Australian English. It is unlikely that the editor will work within the guidelines of ASEP. Some sites offer to add text to your thesis to modify and improve its structural coherence and the development of arguments and ideas. This is in violation of the requirement that your thesis is completely your own work, and if discovered could detrimentally affect your assessment. The low cost means that the editor is being paid a very small amount, and may not give your work the concentrated attention it deserves. You get what you pay for. If you would like a quote for my thesis editing services, please send me an email.